I’ve been a fan of TV programmes like Bones and CSI for as long as I can remember, so when I read about The Body Farm I was fascinated by the concept. By reading abut The Body Farm, I stumbled up tin the book series written by Jefferon Bass. 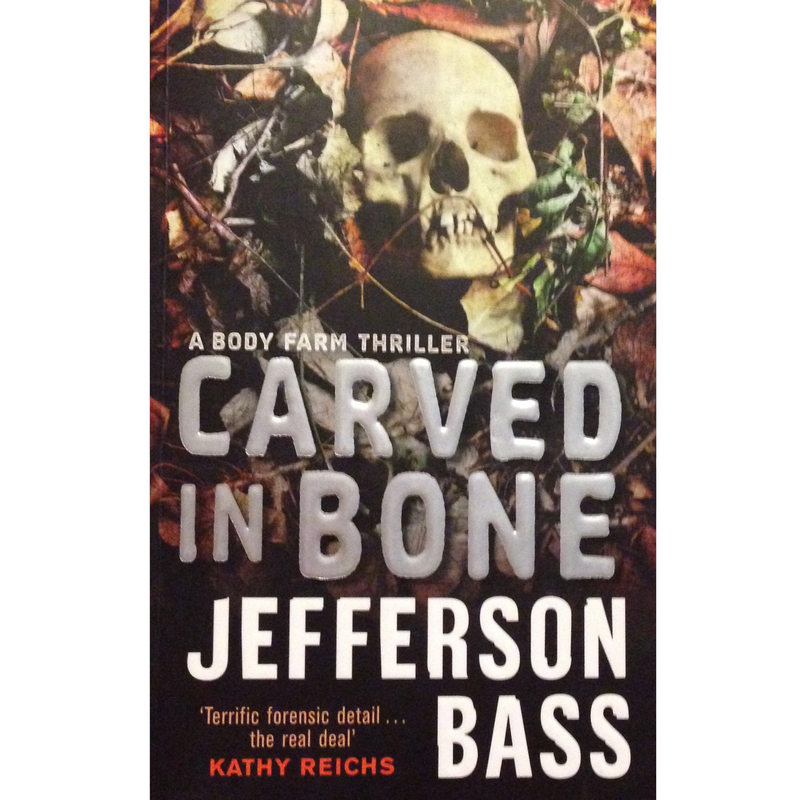 Jefferson Bass is a duo of authors who have co-written The Body Farm book series. Dr Bill Bass is a world renowned forensic anthropologist, and Jefferson is a journalist, filmmaker and writer. By working together, they have created a brilliant series that uses both of their a lents to tell the story with all of the correct forensic details. The first book in the series, Carved in Bone, follows Bill Brockton as he is workings a lecturer while running the body farm. When a body is found in a cave of a mountain range nearby, Brockton is call in to assist in the investigation. The more he learns from the mummified corpse, the more is seems the entire community surrounding the cave are involved and covering for each other The community are the type where everyone knows everyone and there are more family ties and feuds than you could care to count. I love how much detail Jefferson Bass has gone into when writing this book. They have managed to keep it true to reality, without using too many terms that wouldn’t make sense to the average reader. However, it’s done through dialog, in a way that keeps the intelligence level for Dr Brockton, and they don’t dumb down the book for the reader. The entire plot of the Body Farm series, follows Brockton’s personal life, along side his career and the investigations he is pulled into. This is what initially reminded me of the Bones TV series, and it’s something I really enjoy about the books. It doesn’t feel like you are just witnessing parts of Brockton’s life and story, you leant a lot about him as a person and his past as you read more in the series. I’ve read five books from the series so far, and I can’t wait to delve into the rest of the series.